But how quiet is it, really? 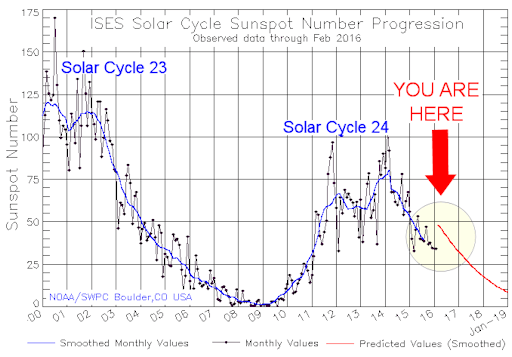 Stay tuned for updates as the sunspot number continues to drop. At the apex of the flight, the yeast absorbed doses of cosmic radiation more than 100x Earth-normal. Meanwhile, back on Earth, control samples remained in their usual place in the kitchen cupboard. The two samples, flown vs. control, form the basis of Sydney’s experiment. She plans to do some “space baking.” Sydney has a recipe for brownies that calls for yeast, and she is going to prepare the dessert using both kinds of leavening. 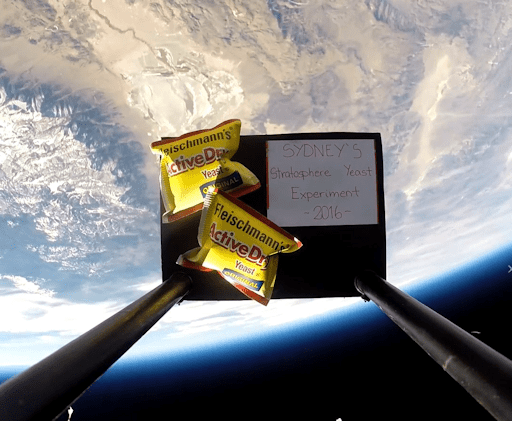 Does space yeast make the same delicious brownies as terrestrial yeast? Hungry astronauts would love to know.